They are cousins and the mirror image of their famous parents. 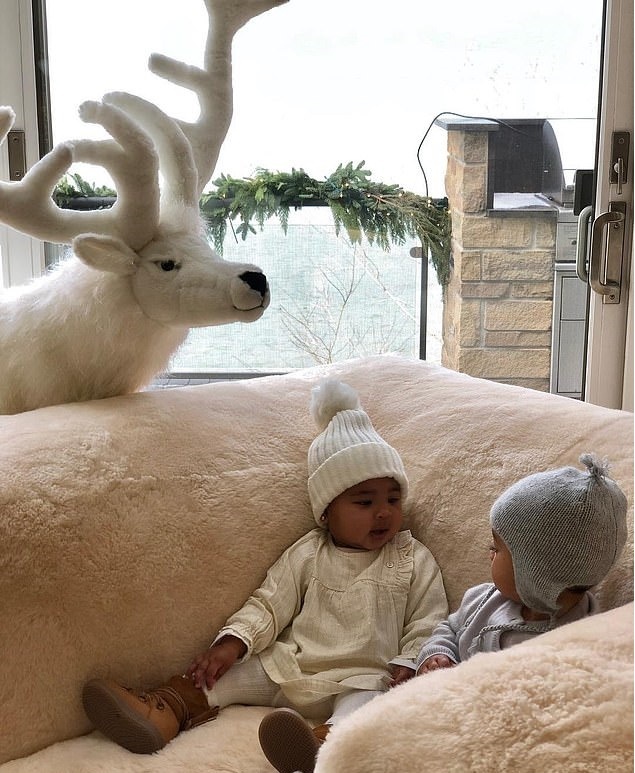 And Khloe Kardashian joked about Chicago West - Kim's youngest daughter - being 'just like her mommy,' on Saturday. The babies were bundled up for the winter, in perfectly coordinated outfits. 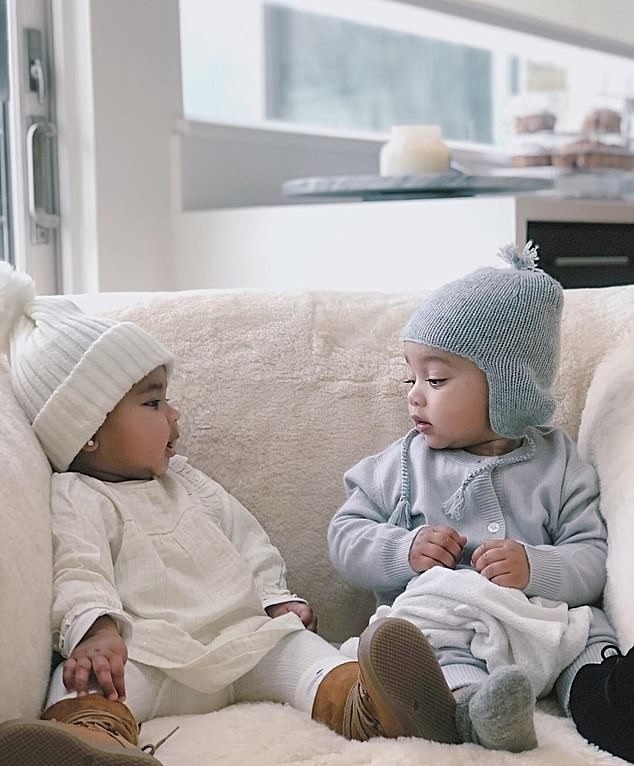 The pair look engaged with each other, and Khloe - who welcomed True with errant boyfriend Tristan Thompson in April - admitted she is excited for them to start to chat to each other.